I love the monsoons. I adore the rains. Ask me to name my favourite season and there you go. There is something about that dark overcast sky, the monotonous drizzle, the melancholic stain on the pane that stirs something in my soul. Add the occasional storm and thunder and lightning, and I am ready to sing a song. If you would ask what my favourite activity is during such time, I would have told you curling up on the bed with a cup of coffee and my favourite book – that is if I were younger and untouched by the vagaries of adult life. Now I would not mind being outdoors bracing the rains, let’s keep the book constant though! It’s August in Kolkata and the rains show no sign of declining their efficient pouring. Where to go in the monsoon? My choice would be Deck 88 at The Astor with its outdoor area and an enclosed zone too where I can sip my favourite cocktail and let time slip by! I would not mind sitting on the broad, comfortable couch with a romance or a thriller, my spectacles perched on my nose, a bowl of munchies on the side and a glass of lavender martini. I can watch the rain surrounded by greenery on every side, amiable staff carefully attending to my needs and throwing in a pleasant word or two. And occasionally when I am in the mood to talk, I can invite you to join me too! We can sit together and talk about the days gone by – don’t you think the monsoons sets you off on a nostalgic journey? We can order an Arabic mezze platter or a plate of fish sliders that are so yum at Deck 88 and perhaps a classic long island iced tea to celebrate our friendship? 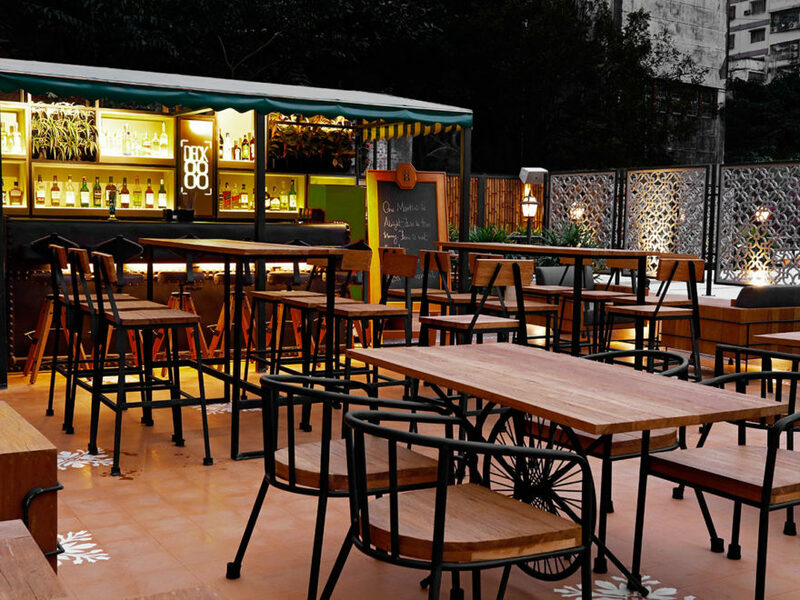 The place, the season and add a good dose of imagination – you get the perfect recipe for a wonderful evening at Deck 88 in the monsoons! What are you waiting for?